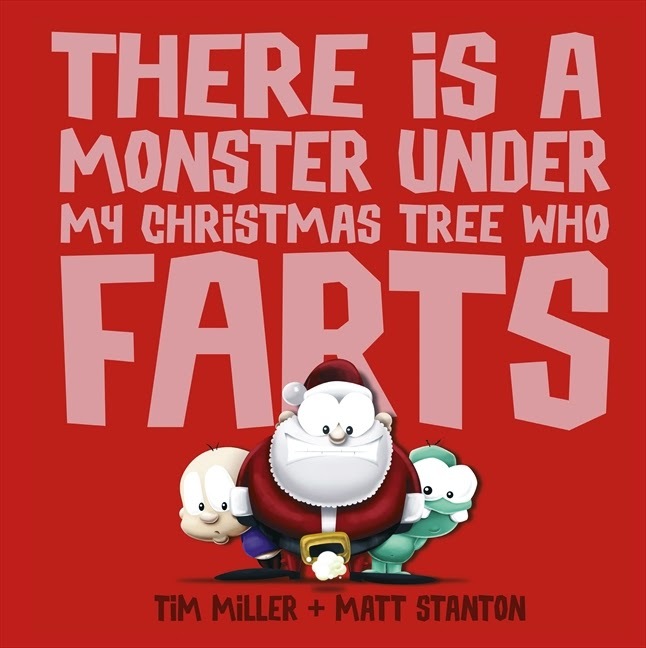 From the cheeky duo who brought you There Is a Monster Under My Bed Who Farts and The Pirate Who Had To Pee comes a brand-new picture book - perfect for naughty boys this Christmas. Thanks to the generous people at ABC Books and HarperCollins, we have three book packs to give away. Each book pack includes a copy of each of the books listed above and is valued at $50. To win, tell us in 25 words or less, what you might find under your Christmas tree (aside from presents and the Fart Monster). Type ‘Monster’ into the subject line and email your answer to susanATkids-bookreviewDOTcom. The most creative answers, as judged by KBR, will win. Be sure to include your full name and address — entries without will be ineligible. Please provide a street address, as prizes cannot be delivered to PO Boxes. Competition runs from Sunday, 9 November 2014, 5pm to Sunday, 16 November 2014, 5pm AEST, and the comp is open to residents of Australia, over the age of 18 (mum and dad can enter on behalf of kids). This is a game of skill, not chance. The judges' decision is final and no correspondence will be entered into. Prizes cannot be delivered to PO Boxes. To be considered valid, entries must include a name and street address. Privacy statement: Winners' contact details are forwarded to the relevant publisher. Other contact details are not shared. All contact details are permanently deleted at competition end.